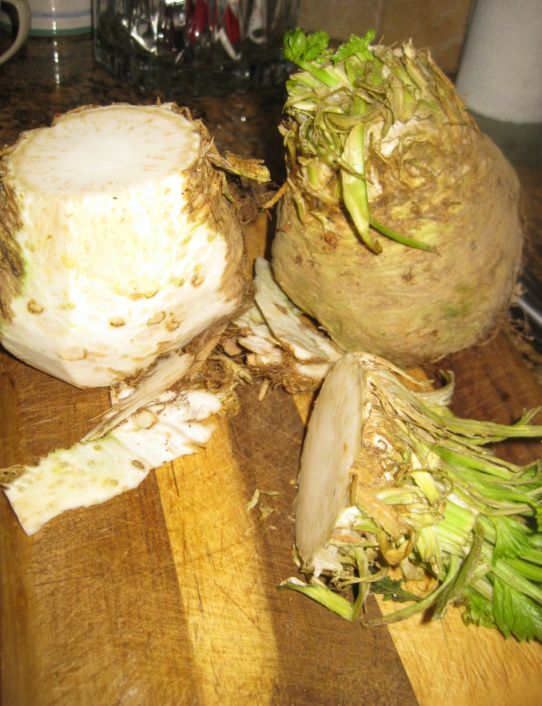 Céleriac or celery root has the texture of something between an apple, yuca, and jicama, it is tender but yet crisp. 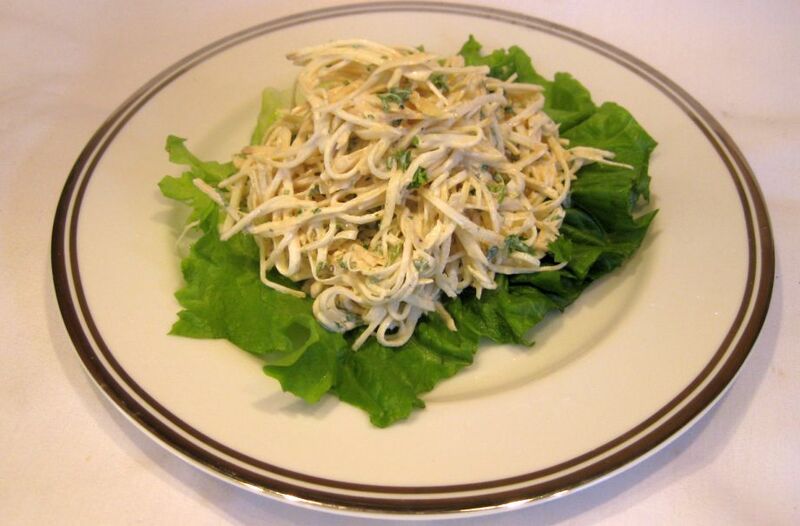 If I have to find the equivalent of Céleriac rémoulade then coleslaw is the answer. 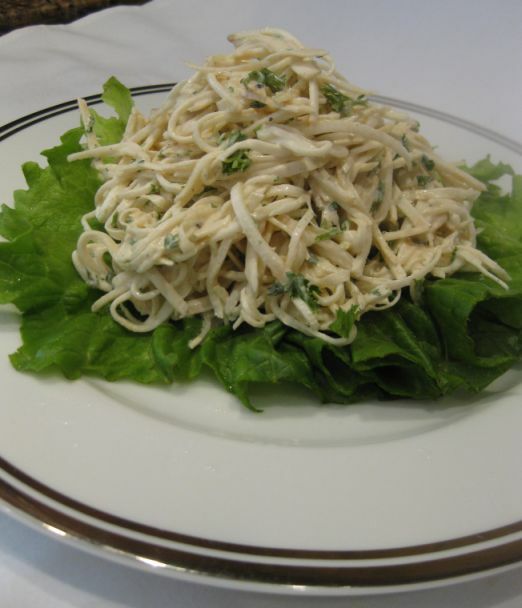 Céleriac rémoulade is shredded ribbons of celeriac tossed in a sauce of mayonnaise, lemon, and mustard. 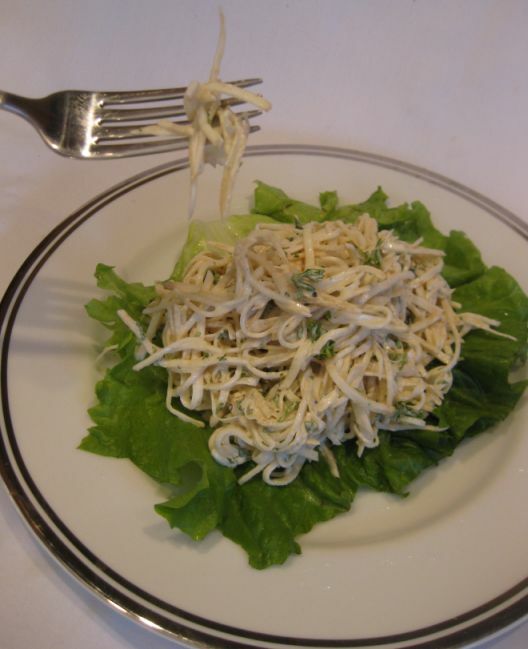 It is very easy to make but you need to let the Céleriac rémoulade sit in the fridge for a few hours or overnight so that the flavor can develops. 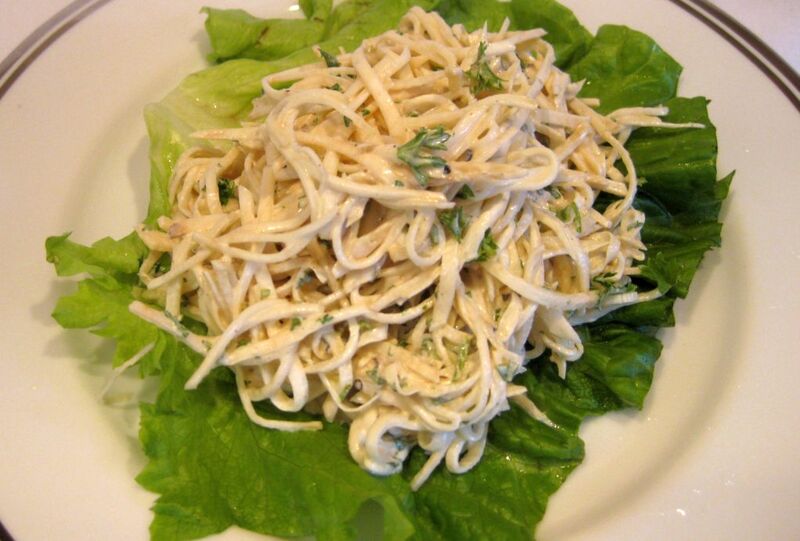 Céleriac rémoulade is a popular salad that can be found in any cafés, bistros, cafeterias in France and it is part of a trilogy of salads on a popular starter, known as salade de crudités (raw salads), which generally includes salade de carottes râpées (Grated carrots) and the ever simple fresh raw radishes with butter and salt. You can eat it plain or you eat it with some bread! The flavor of the Céleriac rémoulade is very interesting with a bit a crunch on each bite and the flavor is difficult to describe but it is yummy! 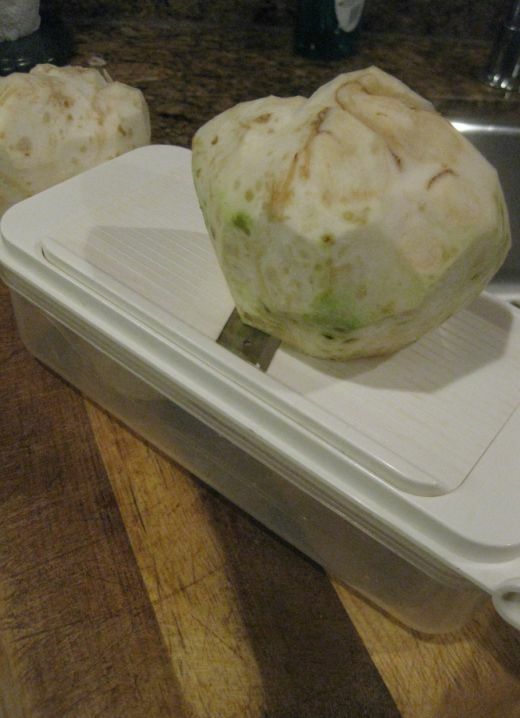 Peel the celery root with a sharp knife. 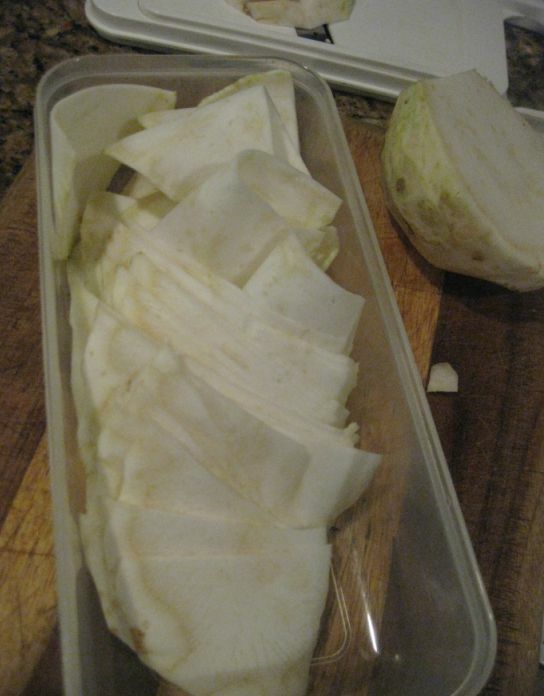 Cut the celery root in half and put in on a mandoline. 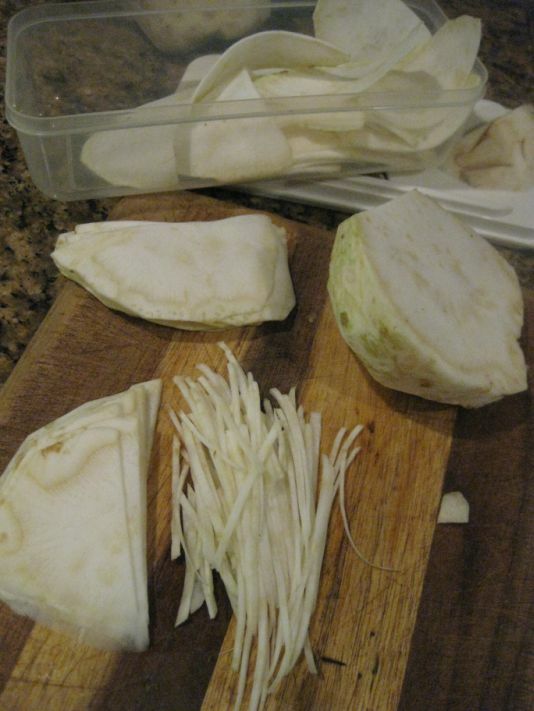 Slice the celery root into thin slices. 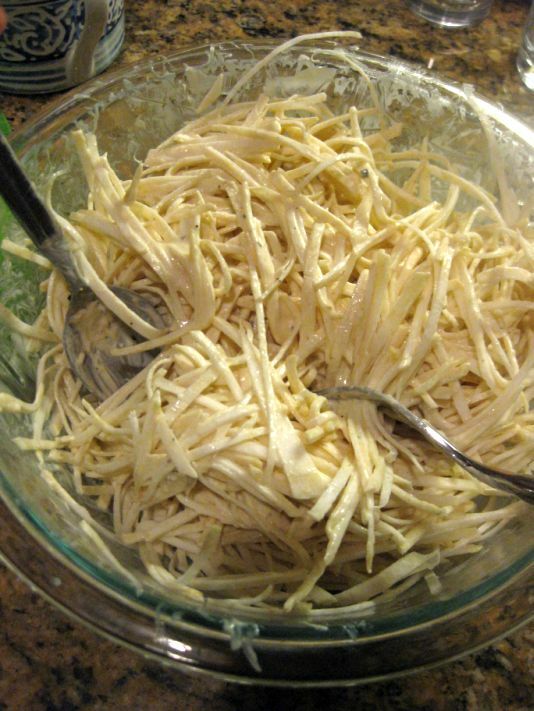 Then julienne the celery root and set aside. 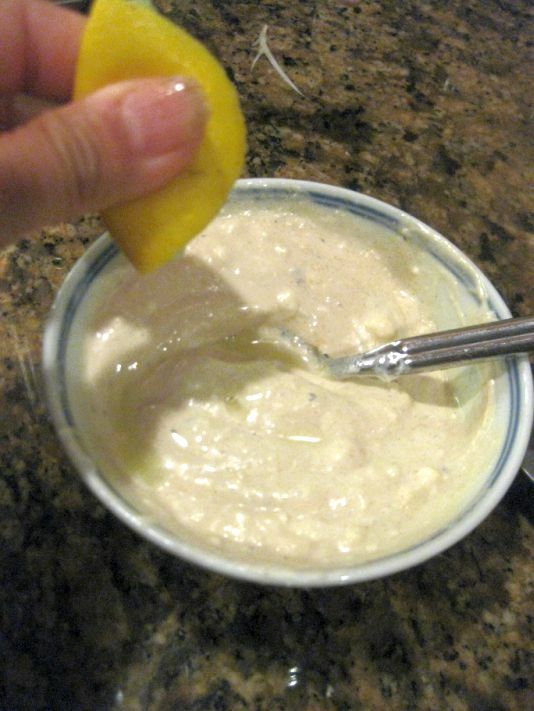 Mix the mayonnaise, dijon mustard, salt, pepper, and lemon together. 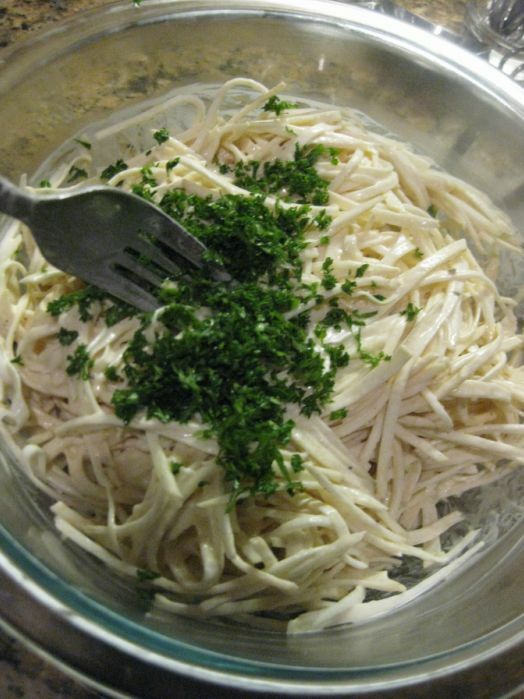 Pour the sauce into the celery root. Mix well together. 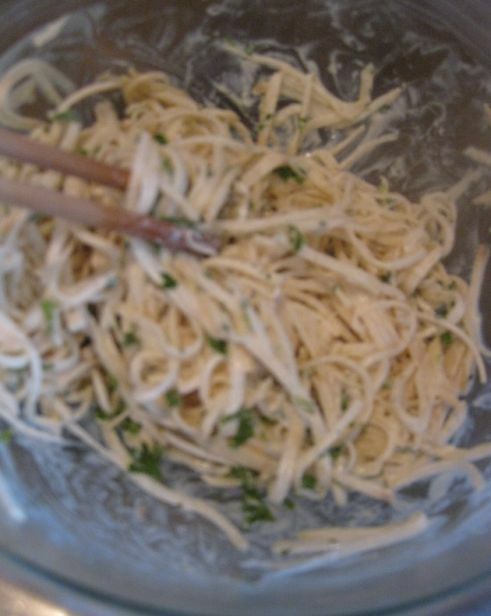 wrap the bowl with plastic wrap and refrigerate for 2 to 2 hours or overnight.